Come watch the Huskers, fresh off their win over the Oregon Ducks, tackle the Northwestern Wildcats in our first Big Ten conference game at 4:30 p.m. AZ time. The Wildcats won ltheir last game vs. Duke 24 to 13. We went to Desert Rose on the 10th and found it to be a spacious, attractive and accommodating place to watch the game. Desert Rose Pizza and GastroPub is in historic downtown Glendale, and opened in January as the reincarnation of the former Glendale Iron Works . (According to Wikipedia, the term “gastropub” was coined in 1991, when David Eyre and Mike Belben took over The Eagle pub in Clerkenwell, London. Traditionally, British pubs were drinking establishments and little emphasis was placed on the serving of food. 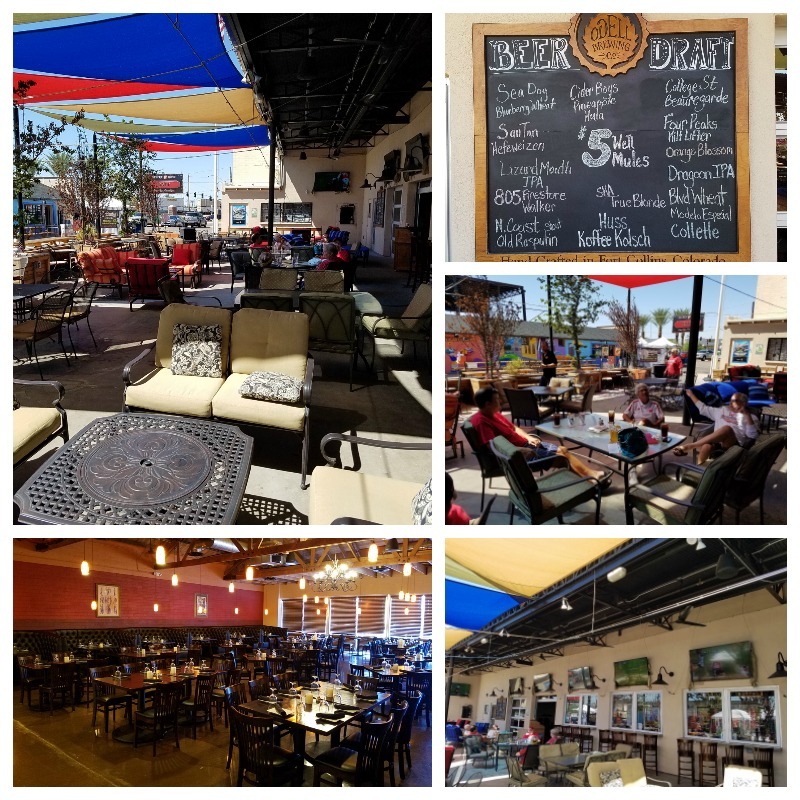 There are at least 3 distinct venues at this address: 1)Desert Rose Steakhouse with live music on Saturday nights; 2)Desert Rose Pizza and Gastropub, and 3)Desert Rose cigar Lounge. Below are some pictures from the 10th. Click on the Desert Rose logo to go to their website.